3 Countries – 2 Christmases – 1 Experience! Have you ever thought you could have the chance to experience your favorite childhood celebration twice in one year? What if you could do this, and at the same time, learn about foreign countries, their people, and how they celebrate one of the most important and significant holidays in their culture? This is exactly what you can do with the Balkans 3-2-1 Christmas Program. As you travel through Romania, Bulgaria and Serbia over 6 weeks, you will gain a fascinating insight into the Balkans and how they celebrate the Christmas period! Your journey will start in Bucharest, Romania. Although the country has a reputation for being the homeland of Count Dracula, this need not affect your Christmas mood as you arrive two days before the day of St. Nicholas. According to locals, St Nicholas’ Day on December 6 marks the beginning of the winter and Christmas celebrations in Romania. Legend has it that on the night of December 5, St. Nicholas himself comes and fills children’s boots with candies and other gifts. You will spend two weeks here attending a Romanian school before the Christmas break, and learning about their culture and Christmas traditions. On December 20, your group will depart for Bulgaria, where you will celebrate your first Christmas of the program. In the capital city of Sofia, you can do your Christmas shopping in the traditional German Christmas market, or take a day to climb the city’s 2000-metre high mountain, Vitosha, where you can look over the sprawling city. 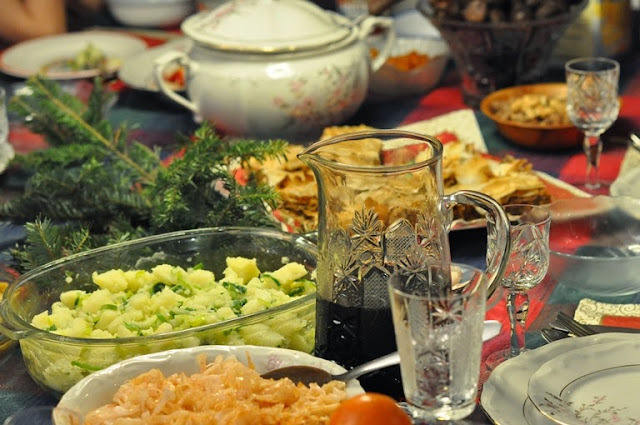 Bulgaria has many Christmas traditions that are still followed by some people, including keeping a vegetarian diet during the weeks before Christmas. When they have their major feast on Christmas Eve, it is tradition to only lay an odd number of dishes on the table, and leave the leftovers there until the next morning in case the ghosts of deceased family members are hungry. After spending your first Christmas and New Year’s Eve in Bulgaria, you will head to Serbia. The Serbs celebrate Christmas on January 7 instead of December 25, as according to the old Julian calendar. So here, you will get to celebrate your second Christmas! The traditions surrounding a Serbian Christmas are often very complex, including finding the perfect tree branch to burn on the fire, and spreading straw and walnuts over the floor on Christmas Eve. There is also the custom of ‘koleda’, where a group of masked and costumed young men go from house to house singing special songs and performing acts of magic to summon health, wealth, and prosperity for each household. So, be prepared for anything! If spending this coming Christmas in the Balkans sounds like something you’d like to do, contact your local YFU organization about how to apply, or click here for dates and more information.